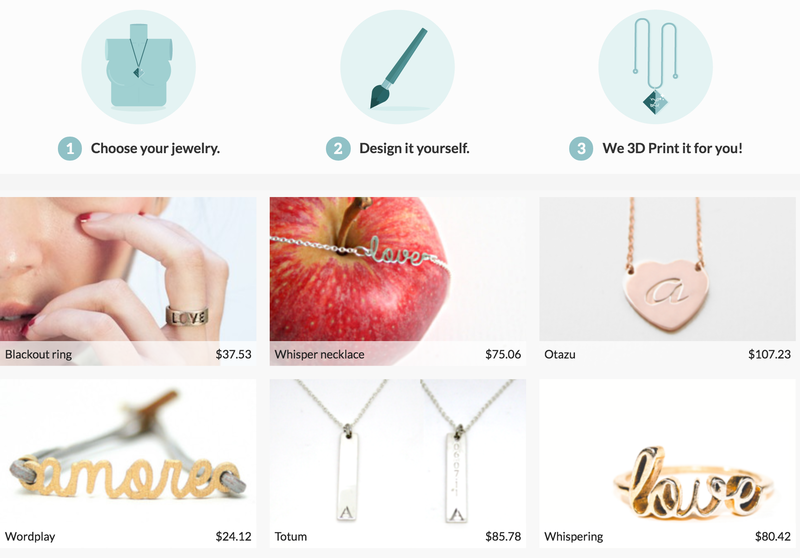 The process is simple: pick your jewelry, design it, and then Zazzy prints it for you. There are several types of jewelry that you can pick from to design, including necklaces, bracelets, and rings. For most pieces can customize the text, font, color, and some symbols; for others, you can design the shape as well. Screenshot of Atomic Lotus in Silver from Zazzy.co. How did Scott Lewis manage to make it so beautiful??? The website is intuitive to use, but taking the design you’re imagining in your head and translating it to the jewelry can be a tad challenging. (For reference, check out my attempt to make a peace sign above.) I admit it’s easier to create text-based jewelry, which you can already do on other websites. For those who are more talented in the design arena, Zazzy has also launched a marketplace. Artists can upload sketches, choose their material, set profit goals, and then open online stores. The marketplace is also great for those who want some 3D-printed jewelry, but don’t have the patience to hand-craft the design themselves (like me). Plus, there are already some creative statement pieces for sale. I recommend checking out Atomic Lotus in Silver by Scott Lewis, which is depicted above.